For the second week in a row, notable Dutch brewer De Molen took pole position as Hashigo Zake Cult Beer Bar’s weekly new release. This time out, the offer was in the (is it still?) trendy Black IPA style, albeit one that weighs in at a beefy eight-plus per cent. It’s the kind of beer you drink when: you’re feeling trendy. More than a few of the Thirsties (Ladies Auxiliary included) are confirmed admirers of Dutch brewer De Molen’s supercharged porters and stouts. So it was that the prospect of an American style IPA from the same source was warmly anticipated. It’s the kind of beer you drink when: tea won’t quite do it! A first! Hashigo Zake Cult Beer Bar this week offered a French brewed beer on tap as the weekly new release. 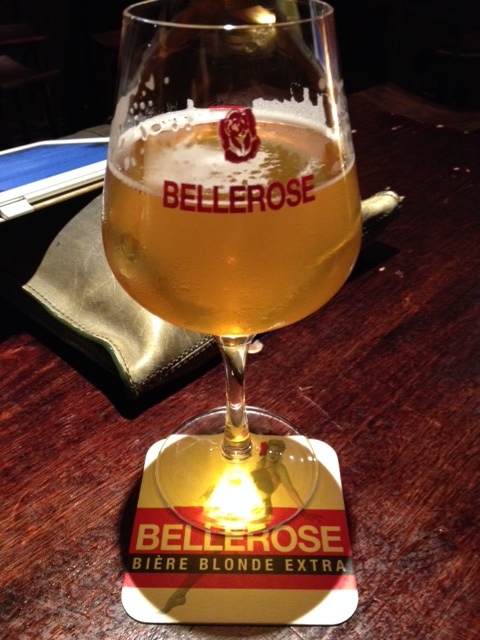 Bellerose purports to mingle characteristics of the familiar Belgian IPA and the more exotic (by Wellington standards) traditional biere de garde styles. Also – according to Greasylightbulb – the brewery was started or funded by French cinema legend, Gerard Depardieu. Or something. So we’re told. It’s the kind of beer you drink when: you need something in which to drown spiders. The Grammy Awards were held this week, and none of the Thirstyboys were in attendance. However, to mark the occasion we consulted with The Jesuit, our resident man of the cloth and music guru. We came up with the following five tunes about beer that may not have won Grammy Awards but should be better known.